The good: Memoirs can be tricky in my experience, which is why I've read so few of them. I imagine it must be hard to write about specific, usually private, moments in your life in a way that's engaging without just spewing out a bunch of facts. But when I saw the synopsis for Never Have I Ever and how it was about one woman's experience, of lack thereof, with dating - I had to check it out. I'm a sucker for these kinds of stories. Probably because I'm in the same situation and there's something comforting about knowing someone else is going through it too. Katie has never had a serious boyfriend. Ever. The book starts off as early as middle school when she recounts her first experiences with crushes (and the painful rejections). From there she shares anecdotes from high school, college and all the way up to the present. Every crush, potential relationship, her craziness (and I say that affectionately) when she likes a guy and the seemingly inevitable downfall when her enthusiasm (again, trying to be nice here!) gets the better of her is captured in this memoir. It would've been easy to shake your head in exasperation at her for 90% of the book but I didn't. Instead I laughed out loud on numerous occasions and sympathized and okay, a few times I thought to myself this girl is nuts. But I related to a lot of what she was going through even though I handle myself much differently. She also reminded me of one of my best friends and I think that's part of why I got her too. I mean dating is hard! I always thought it would be "better" after college. In other words, more guys and easier to meet people. But instead, it's the opposite. I know what it's like to be on the unrequited side of things, feeling wary of online dating but at the same time, being okay with who I am too. I think that's what made Katie such a real and honest voice. Her life wasn't just about dating and finding a guy. She's smart, self-aware and acknowledges that sometimes the crush itself is more fun than finding out the fantasy doesn't live up to reality. She's got her priorities straight and friendships mean a lot to her. I loved how they played a big role in her life and in the book. It takes her a while to find her niche of friends and I think it's like that for everyone. I had a lot of different friends growing up and I threw around the phrase "best friends" way too much. It wasn't until college that I looked at friendships in a mature, realistic light. Even now, I'm still learning about what it means to be a good friend and which relationships I want to put the effort into. (Super minor) reservations: I enjoyed almost all of Katie's stories and rants but there were times when it did feel a bit repetitive. I also think that being in the same shoes as Katie or having someone like her in your life makes it easier to connect to the book. Not necessary but it helps. Do I recommend? : In the beginning of the book, the author writes that she wants her book to feel like two girlfriends talking over wine and it felt that way from beginning to end. So if you're in the mood for a couple hours of talking about guys and friendships, I'd recommend checking this out. Never Have I Ever has interested me ever since I read a HuffPo article about it. I'm glad that it's interesting and engaging since memoirs can tend to be dry. 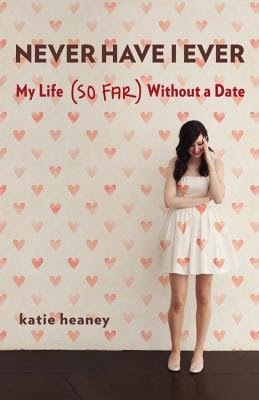 I think Katie's experience is something that is more common than most people think since I've read other reviews about how people can relate to her experiences. When I first heard of Never Have I Ever, it was intriguing. I like reading non-fiction when the person's story interests me, and Katie's story seems pretty darn interesting. Glad to hear that you really enjoyed it, and found it relatable!